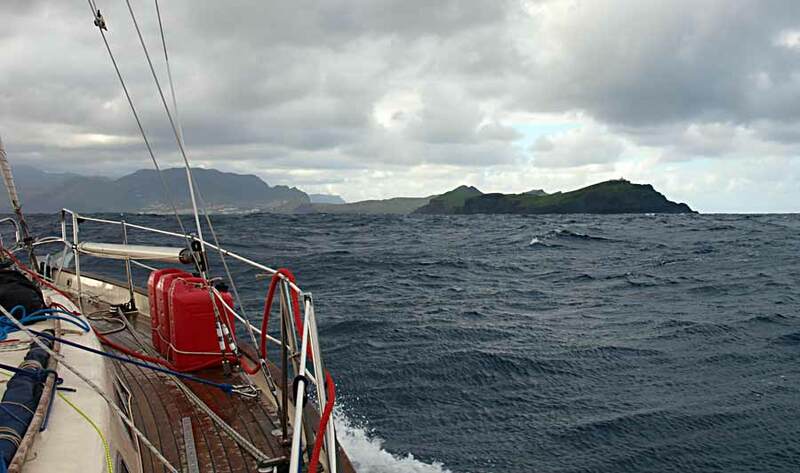 We sailed from Porto Santo to Madeira Grande yesterday. It rained as we left and we needed to wrap up against the chilly wind but with F5 from astern we covered the 30 miles in good time. We're now berthed at Quinta do Lorde at the eastern tip of the island. There's a new marina, in a posh, but as yet unoccupied, village development. All very quiet except for being under the airport flight path. It's blowing a hooley again but we're hoping for a few sunny days for sightseeing.